Here are four reasons why foam pads make great display too. 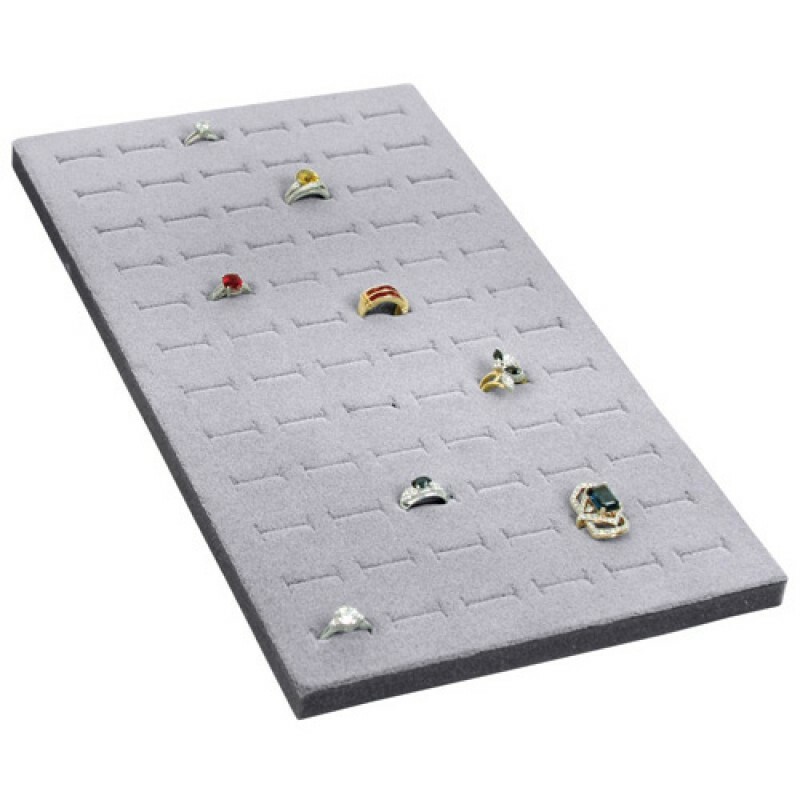 The usual jewelry shop is filled with display busts and stands to hold all kinds of jewelry pieces. These are often made of wood and metal, some made of acrylic, and are available in many designs and colors. But did you know that foam pads are perfect for showcasing your jewelry items too? This week, we’re turning the spotlight to our foam pads display. 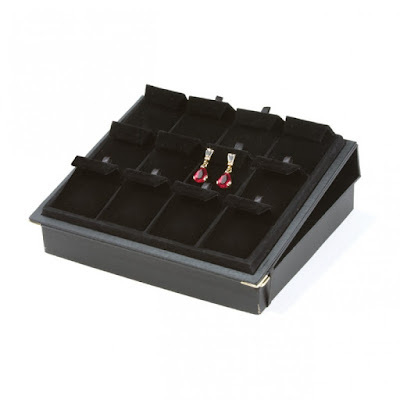 Yes, they make great jewelry holders too! Not convinced? Allow us to give you the reasons why you should try them in in your shop. Unlike your standard bulky necklace display, foam pads are space savers because they are thinner and more lightweight. Aside from that, a foam pad display can hold multiple items as well. 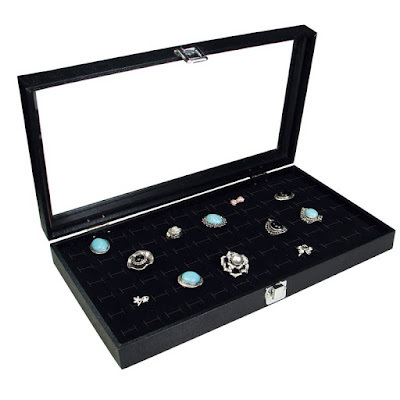 One example is the display in the photo which can hold up to 72 rings. Because they are easy to store, foam pads are great for trade and craft shows. You won’t have to worry about carrying heavy boxes and loading a lot of stuff in your car or truck when traveling. Their ergonomic design is a blessing to small-time jewelry business owners who are often out in bazaars. 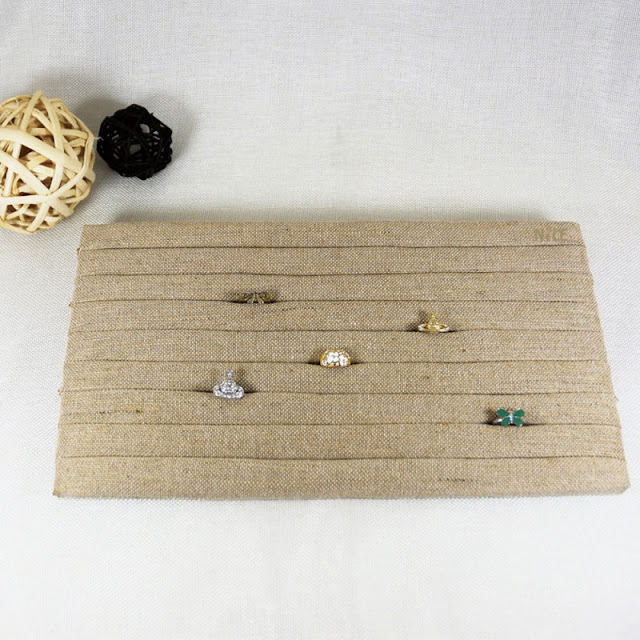 Because they are made of foam, velvet, and linen, these foam pads will not scratch the surfaces of your precious jewelry pieces. As we have discussed in one of our previous posts, there are many ways to clean displays. You can either use adhesive tape, a rubber glove, a sponge, and even old mascara wands. Lastly, they have little to no design at all, which makes them perfect displays for shops who with a minimalist theme. Foam pads are usually available in white, black, and gray, perfect for monochrome styling. Curious to see more foam pads? 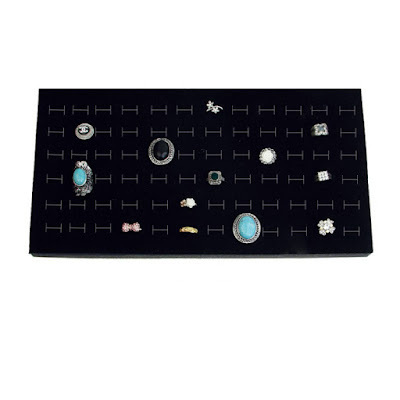 Do check out the online shop for more of these, as well as other jewelry displays you might need.